The 50th senior class at Penta Career Center was honored May 19-21 during six separate ceremonies in the Susor Auditorium on the Penta campus. The 640 seniors, who participated in ceremonies over the course of three days, represented the 50th class to complete career-technical programs since 1965 at Penta. In addition, the Outstanding Student Award was presented to 51 seniors based on performance and excellence in their individual career-technical program. See below for the list of seniors from the Class of 2015 who earned an Outstanding Student Award. 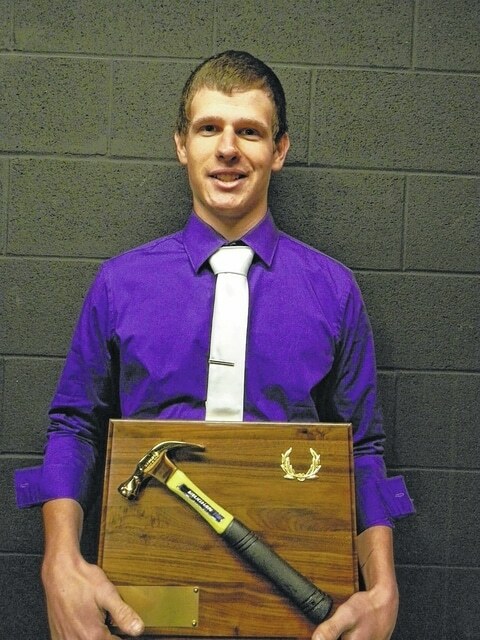 Swanton honorees were Alaura Fetterman, interactive media; Matthew Kusz, accounting; Jacob Malone, culinary arts; Tiernan Rice, digital video production, Kylee Taylor, cosmetology; and Zach Wilson, construction carpentry. Penta Career Center is a career-technical high school for sophomores, juniors and seniors. Penta serves the following school districts: Swanton, Anthony Wayne, Benton-Carroll-Salem, Bowling Green, Eastwood, Elmwood, Genoa, Lake, Maumee, North Baltimore, Northwood, Otsego, Perrysburg, Rossford, Springfield, and Woodmore.